Bibbidi bobbidi best day ever! 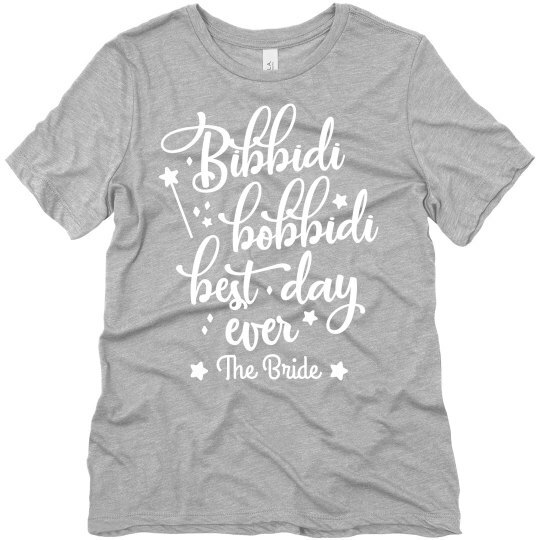 Customize a special t-shirt for the bride to wear during her fairytale bachelorette bash. Help make all of her wishes come true during her magical weekend getaway with this relaxed fitting, casual tee.